You might have read of how long and complex it is to install OBIEE directly onto Redhat. This year I heard that there was a new Virtual Box image of OBIEE. The idea being: you install and start Virtual Box, then use the OBIEE virtual machine. Great idea. You should be able to get on with actually using OBIEE, not struggling with its installation, startup, and administration. However, that would assume that all the components work. Like any technology stack. Unfortunately for me, they did not. 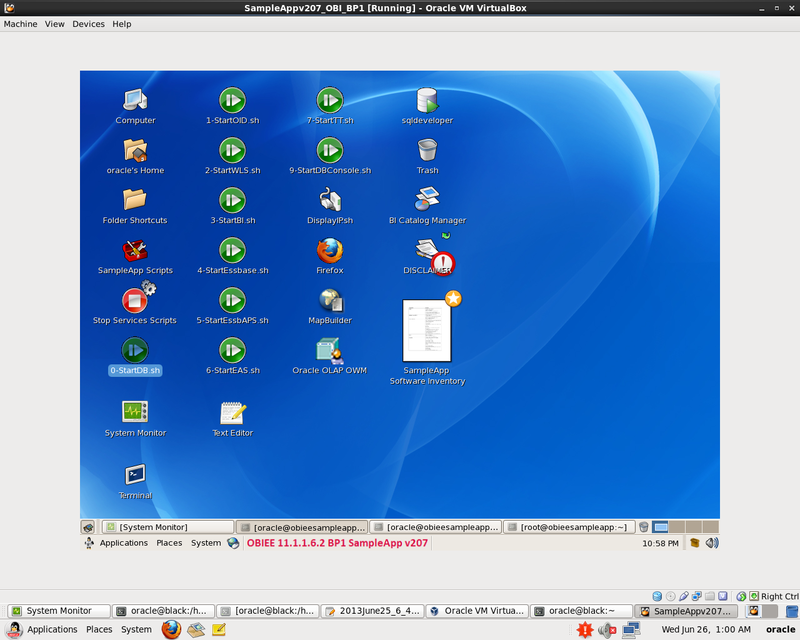 Recently I installed Virtual Box 4.1-4 on Redhat 5.5 64 bit. It was a painful experience with some serious Gotchas. The install docs were confusing. They are probably fine for people already quite familiar with the product. But not for newbies. One critical issue with Redhat Oracle and Virtual Box is that: VIRTUAL BOX WILL NOT RUN IN AN XEN ENVIRONMENT. “xen” is not found in the install doc. Nor in the table of contents.